The club was formed in 1920 shifting around several different properties. The present clubrooms were built in 1965 and have been renovated over the years to include a 60 seat restaurant with state of the art kitchen equipment, a gaming room with 18 machines, a modern bar, 3 snooker tables, 4 pool tables and 2 dart boards all on the ground floor. Upstairs is another kitchen and conference facilities for up to 200 people. The whole building is air conditioned. We also offer free tea, coffee and filtered water. The club is open 7 days a week from 11am till late with the restaurant operating 7 days from 5.30pm serving a full a la carte menu and also offering a takeaway service. We can organise accommodation close by at the Twin Rivers Motel across the road and The Alexander Spa 50 metres from our front door. We can also organise Golf at our fantastic Golf Course which we are in partnership with. Other activities we can organise are Trout Fishing, Helicopter Flights, Tramping, Canoeing and Mountain excursions. We also have two courtesy coaches which can be hired out. 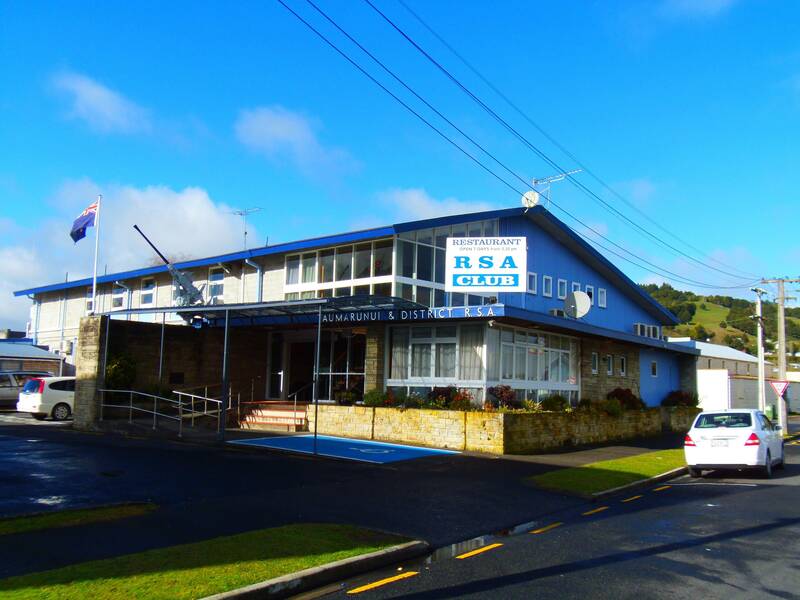 We have entertainment twice a month on a Friday and or Saturday night and all year round a free jukebox with over 2000 songs with 850 members we are the Entertainment hub of Taumarunui and surrounding areas and pride ourselves on our friendliness and hospitality so when in Taumarunui come and visit us we look forward to seeing you. ?.